So, it’s been a very strange two months. The first week of April, I woke up suddenly with back pain so excruciating, Joe and I had to cancel our annual trip to Boston for PAX East. Things deteriorated from there. My joints swelled randomly and massively, there were weeks at a time when I could not walk, and I was in constant, excruciating pain. After a long two months of MRIs, x-rays, labs, and doctor appointments, I was finally diagnosed last week with rheumatoid arthritis. While things haven’t improved greatly (yet), I am much more comfortable and have a treatment plan to move forward. I knew a really good focaccia was on the way. Let’s get back in the kitchen together! Dissolve the salt in 2 tbsp. of water and set aside. 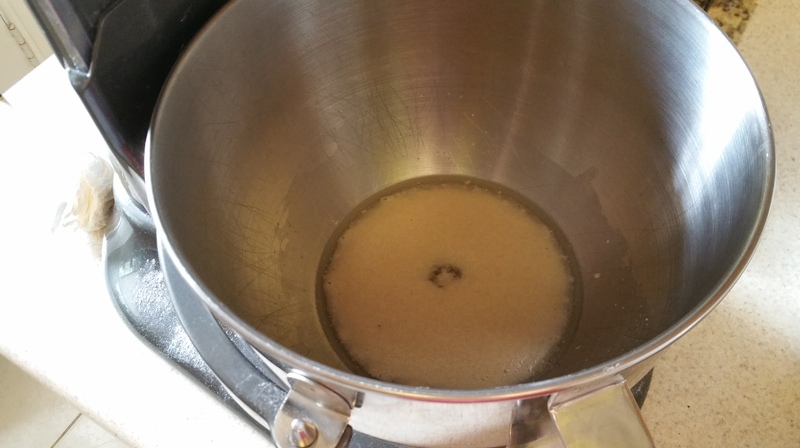 In the bowl of a stand mixer, combine the yeast, sugar, and water, and let stand until foamy, 5-10 min. 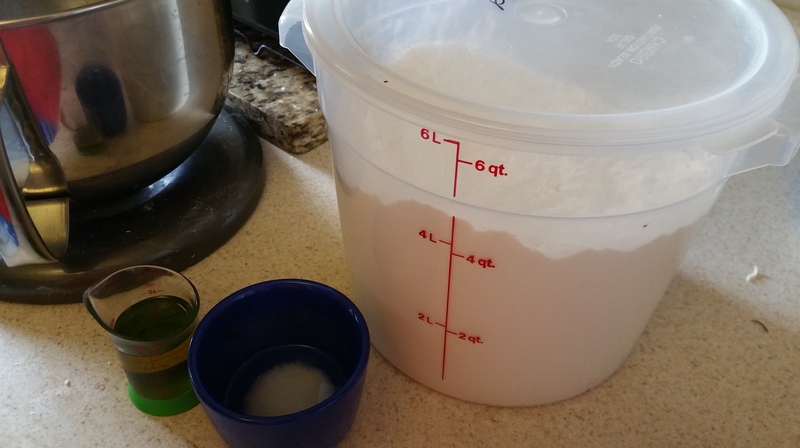 Turn the mixer on low speed and slowly add 3 1/2 cups of flour to the bowl. 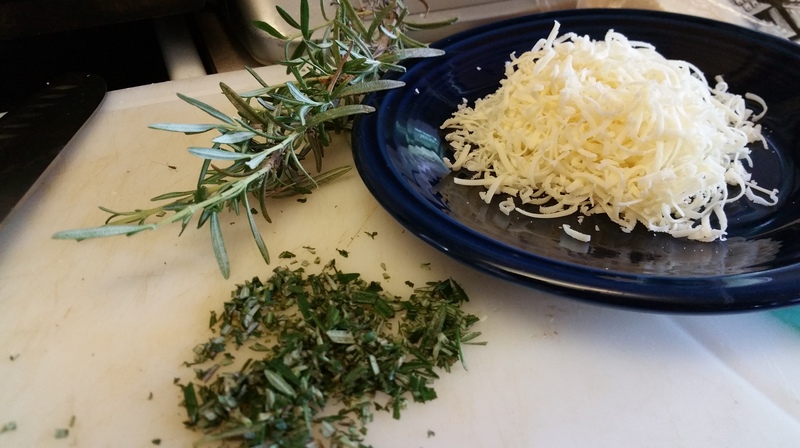 Add the salt water and olive oil, and once incorporated, add the chopped rosemary and finely grated asiago cheese. Once the dough comes together, turn out onto a lightly floured surface and knead until smooth and elastic, about 10 minutes. (You can also knead this in a stand mixer fitted with a dough hook, I just enjoy doing it by hand.) Add flour as needed if the dough is sticky. Form the dough into a ball and transfer to an oiled bowl, tossing to coat in the oil. Cover the bowl loosely with plastic wrap or a towel and allow the dough to rise until doubled in size, about 45 minutes. 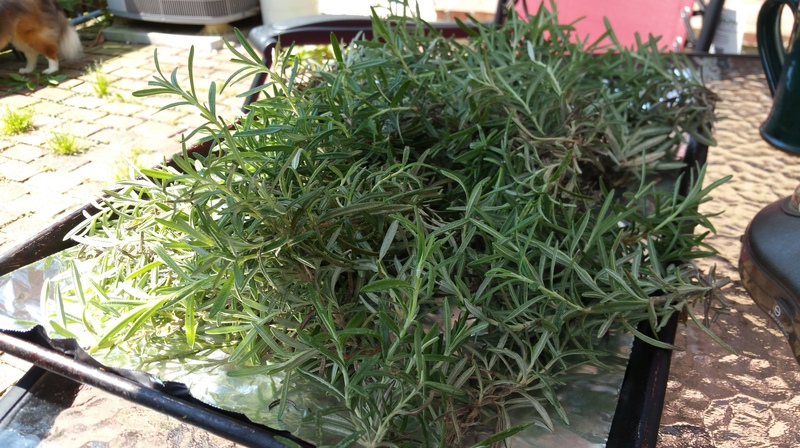 Preheat the oven to 450 degrees F and adjust a rack to the lower third of the oven. 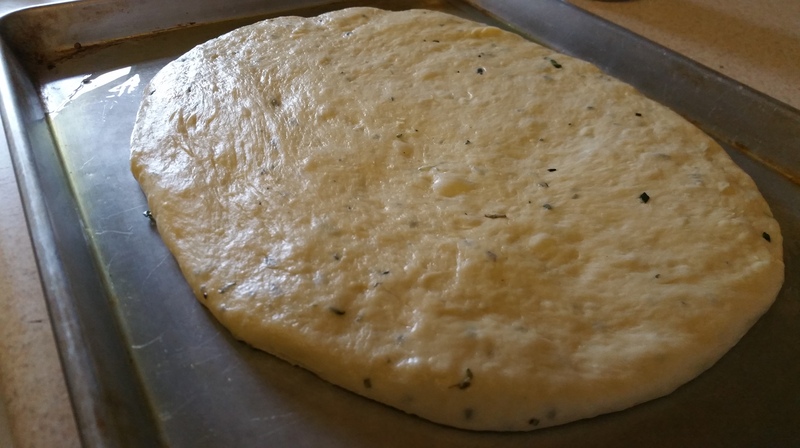 Lightly oil a baking sheet and turn the risen dough out onto it. 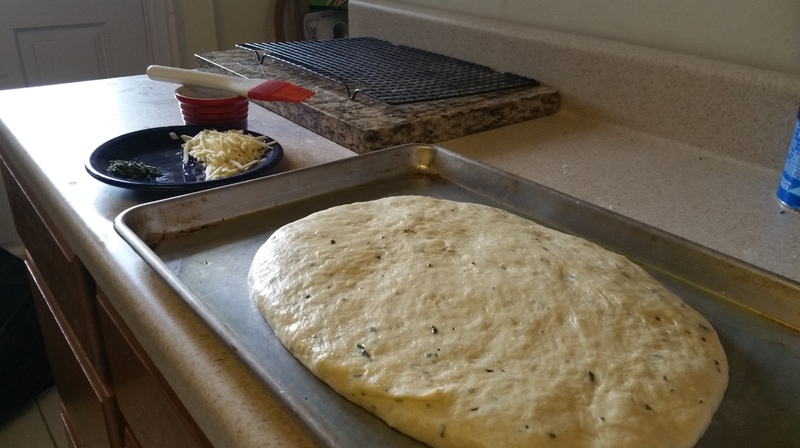 Gently stretch the dough into an oblong shape about ½ in. thick. Let rest, uncovered, for 15 minutes. 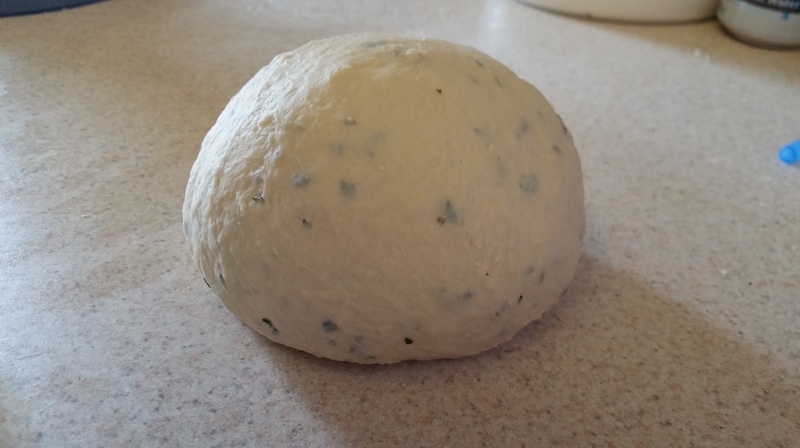 Gently dimple the dough with your fingertips. 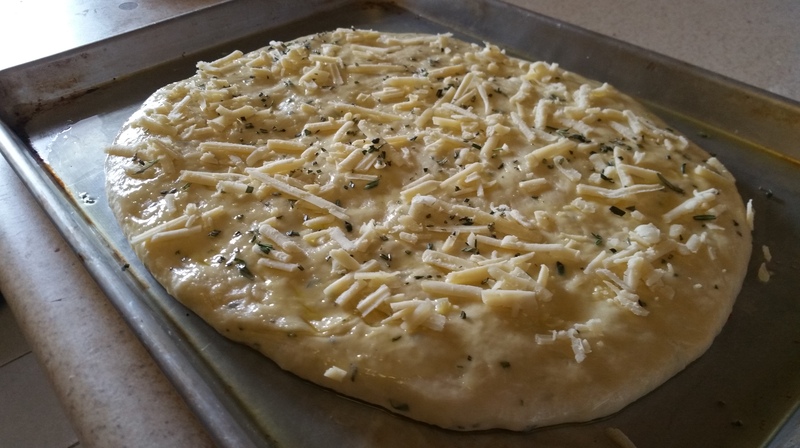 Brush the surface of the dough with olive oil, and then sprinkle on the coarsely grated asiago cheese and chopped rosemary. 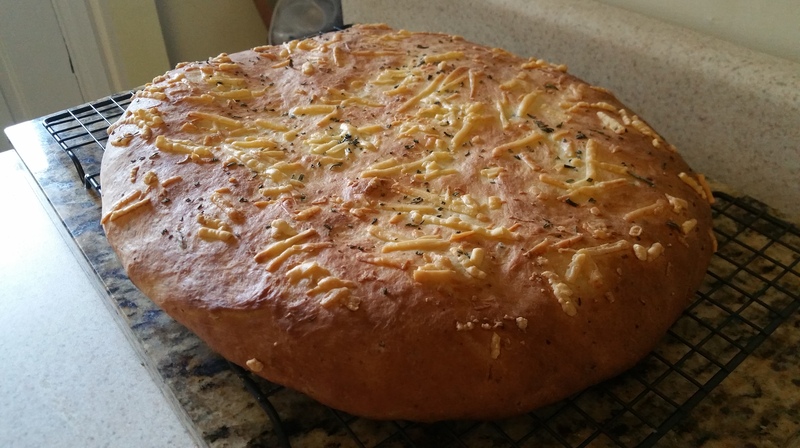 Bake the focaccia for 13-15 minutes or until golden brown all over. Allow it to rest at least 15 minutes before slicing. 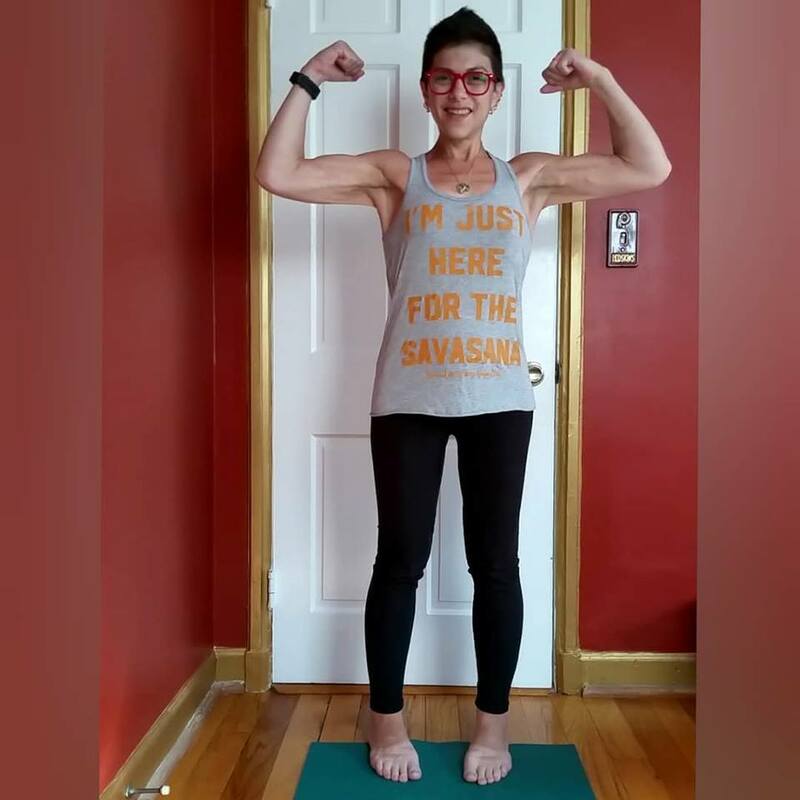 While I often find the road ahead daunting and uncertain, I am lucky to be surrounded by supportive people, and have hobbies like cooking and yoga that ground me and offer me a meditative space. And I’ll keep writing to you here as often as I can, because food is meant to be shared and I will always be happy to share with you.